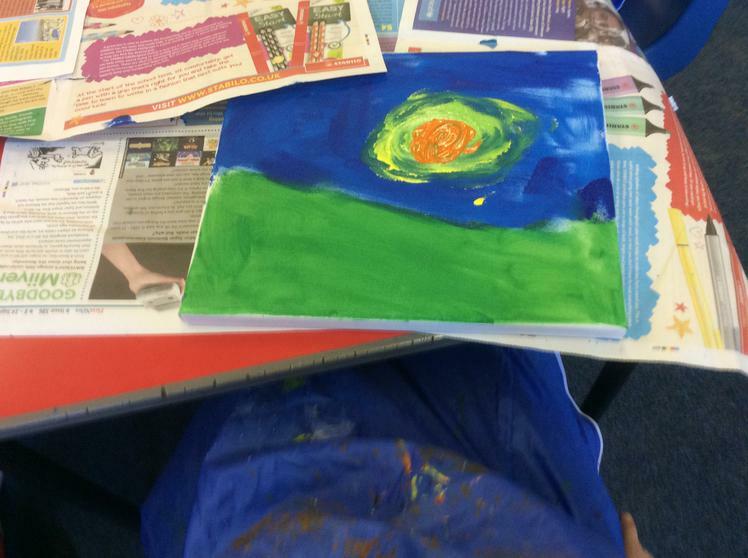 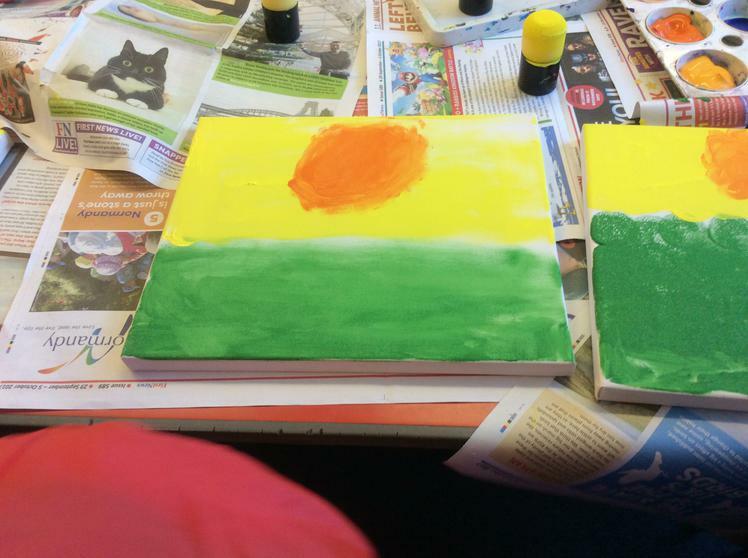 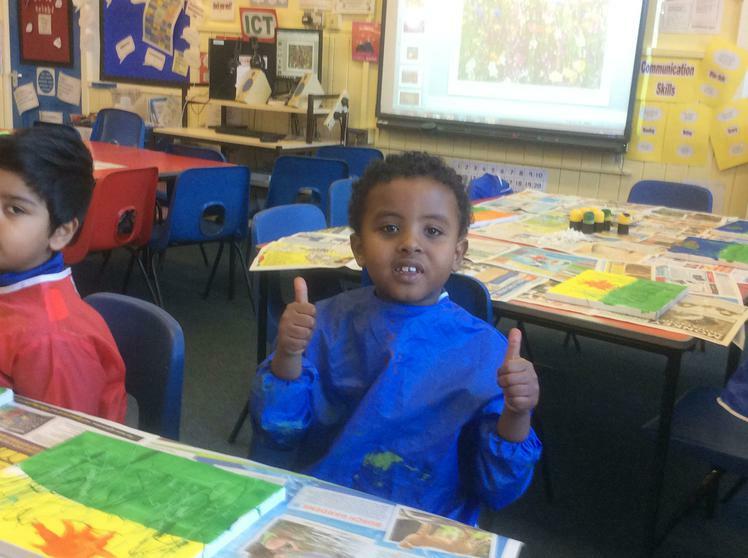 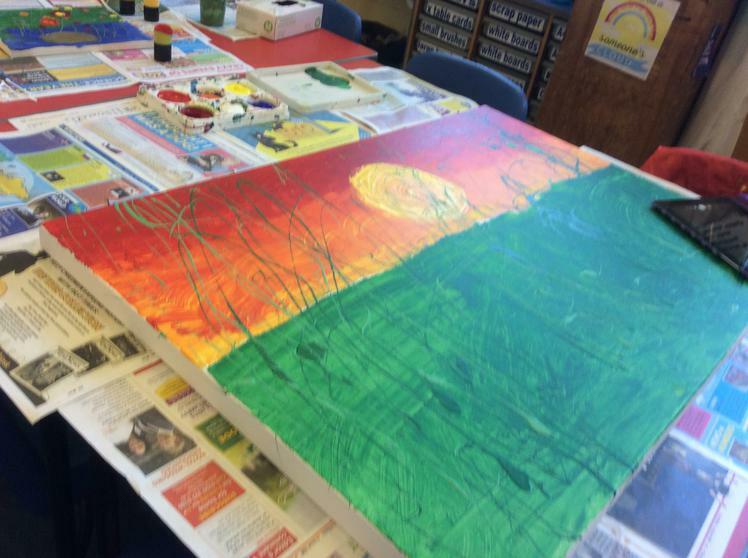 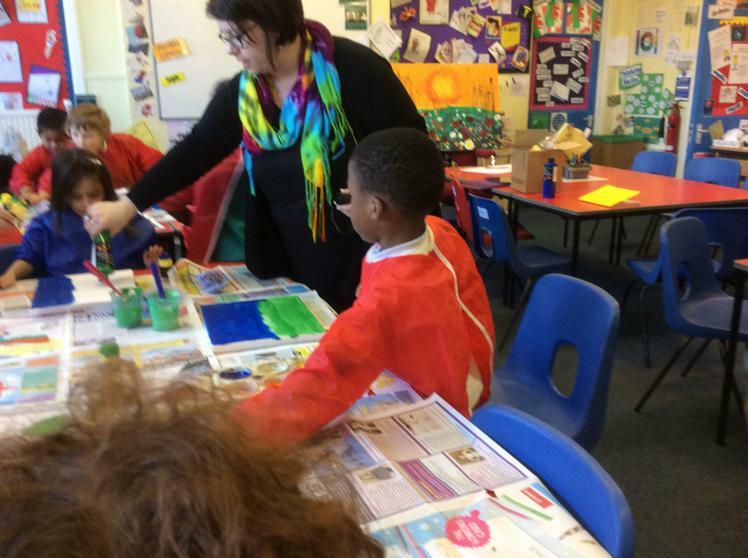 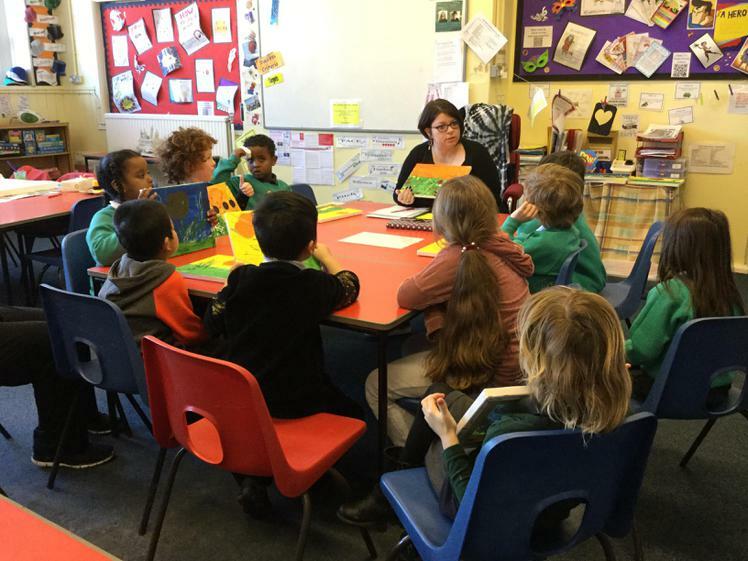 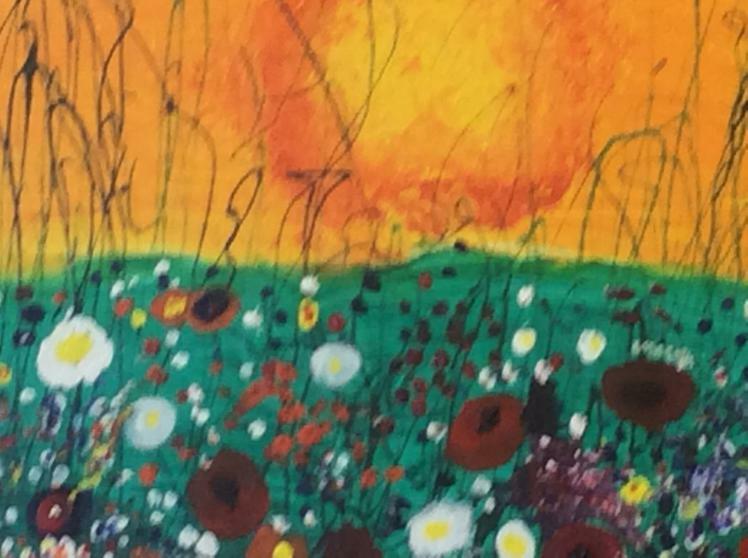 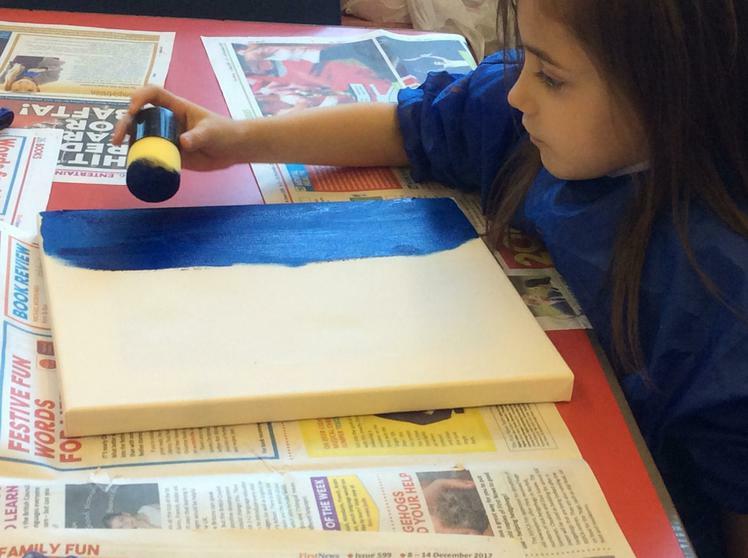 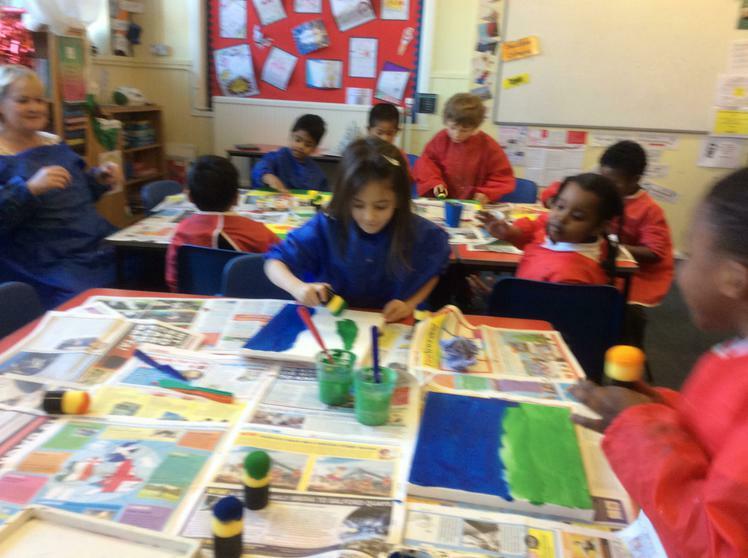 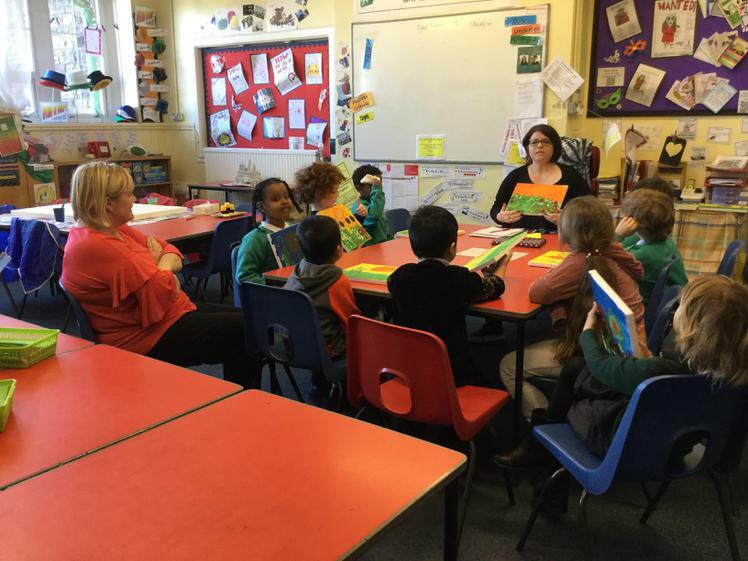 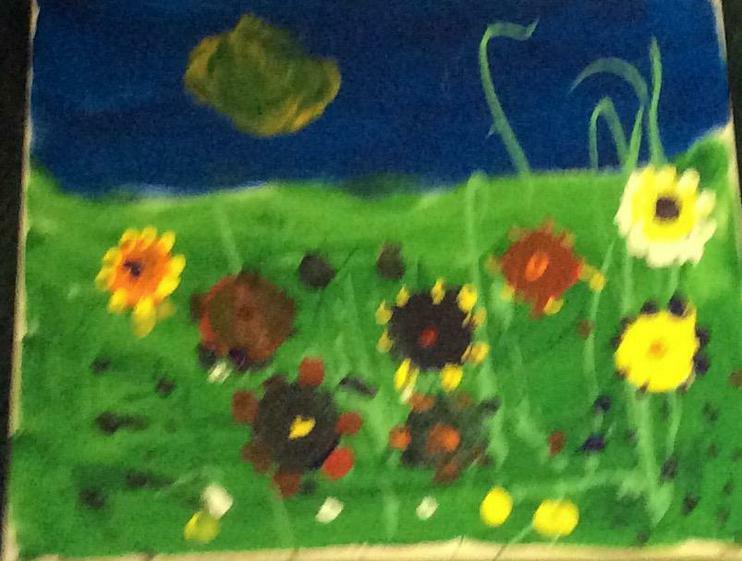 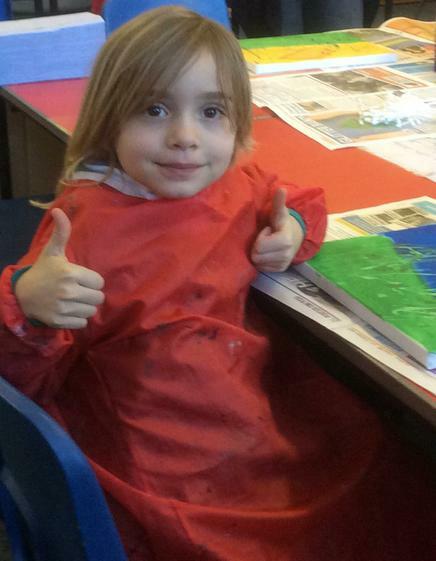 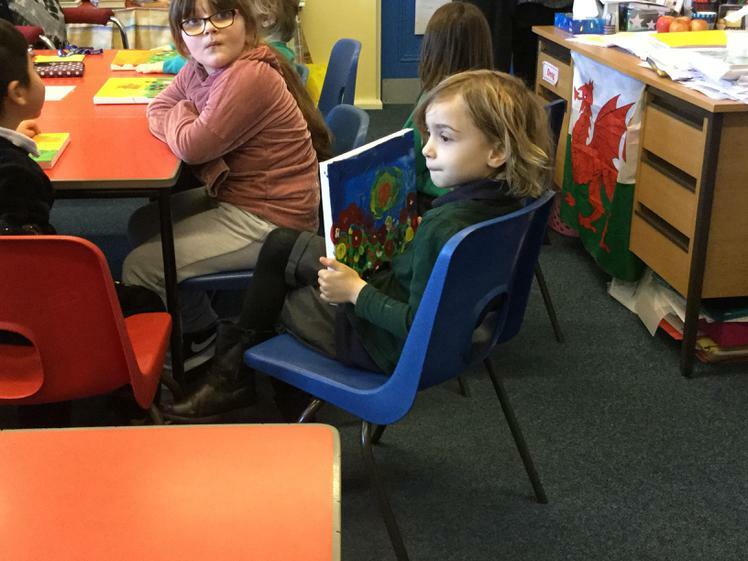 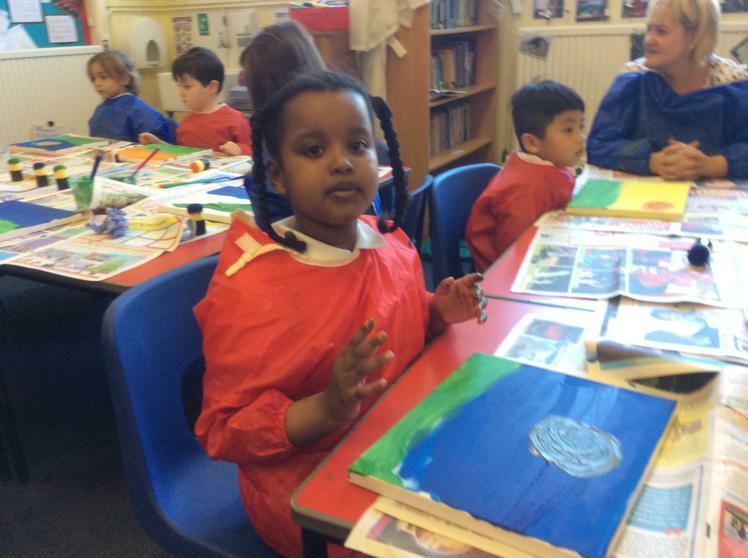 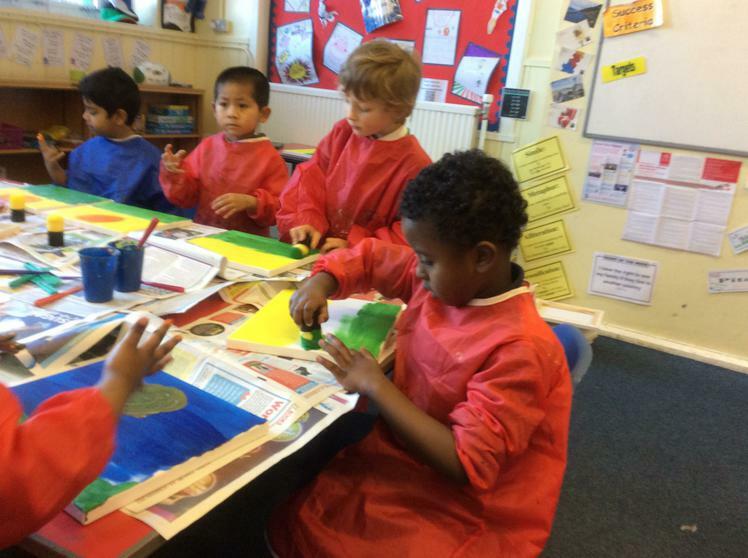 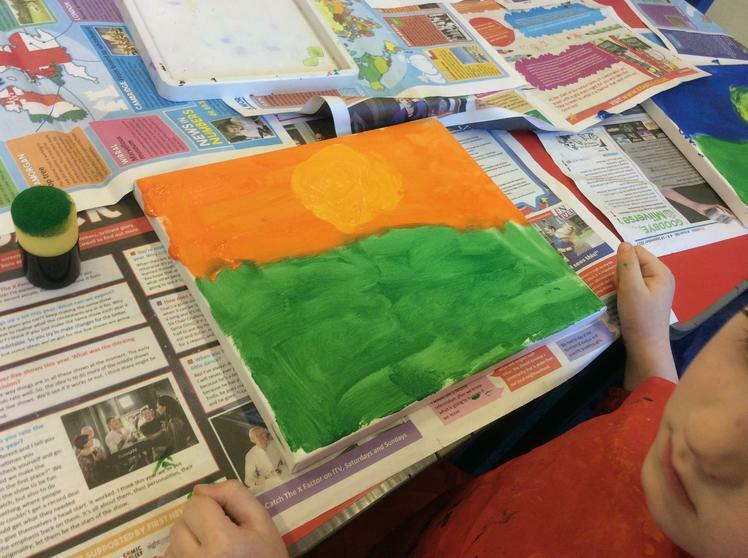 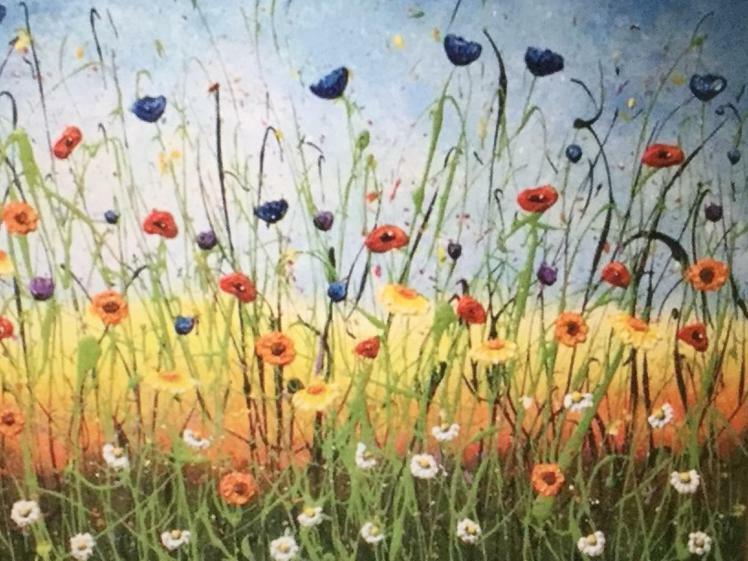 In the children's first week they looked at acrylic art paintings. 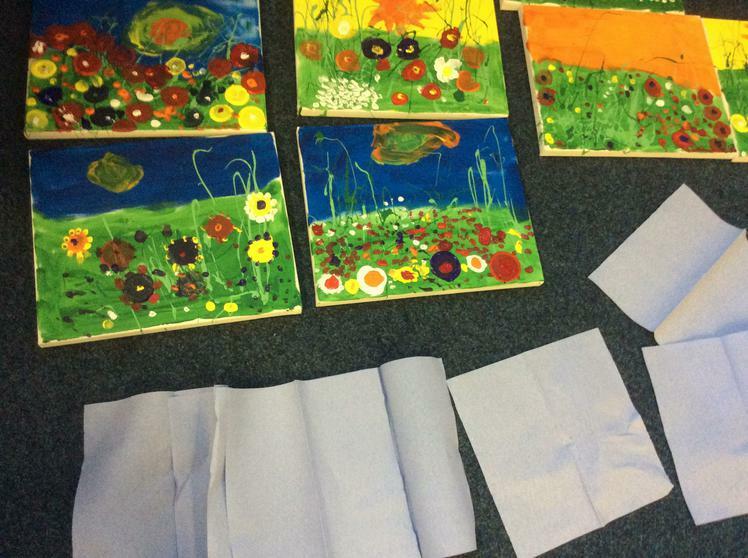 The children made pictures based on the pictures they saw the week before. 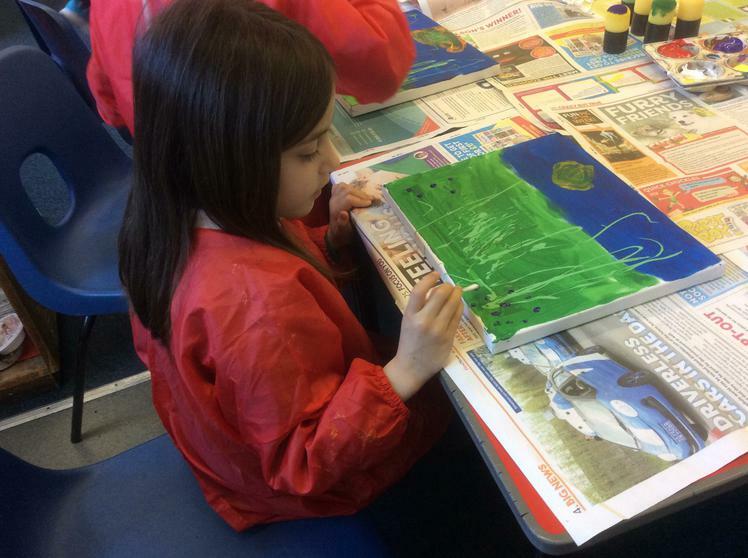 Deciding whether to do more flowers on their picture or take it home. 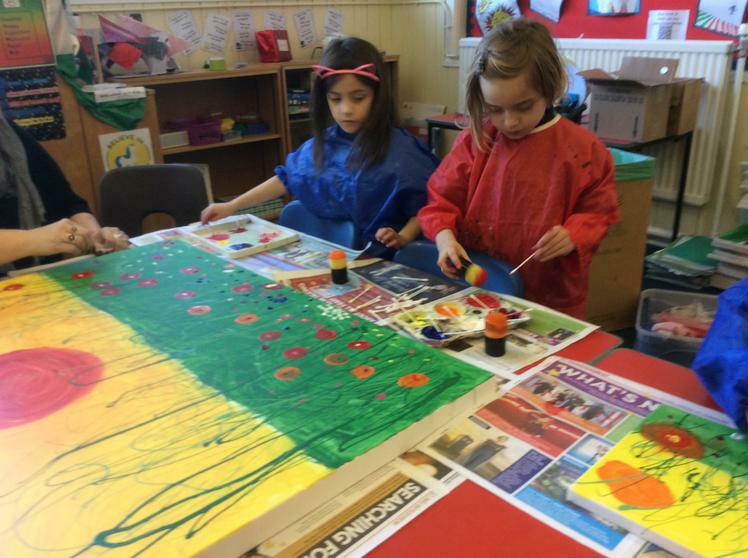 Making big pictures in a pair.